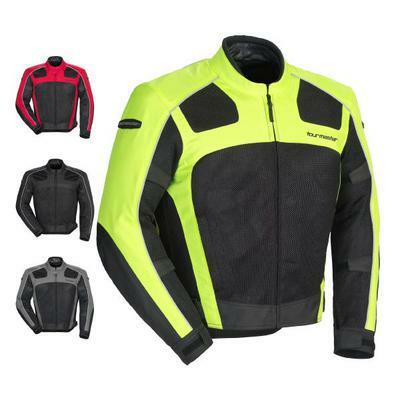 The Tourmaster Draft Air Series 3 Jacket is a lightweight jacket that is perfect for hot, mild and wet conditions. The mesh outer shell keeps you cool on hot days and the 600 denier polyester material adds additional abrasion resistance. The Draft Air Series 3 Jacket features a removable waterproof liner for added defense against the elements. Additional protection is provided by the CE-Approved armor in the shoulders and elbows.